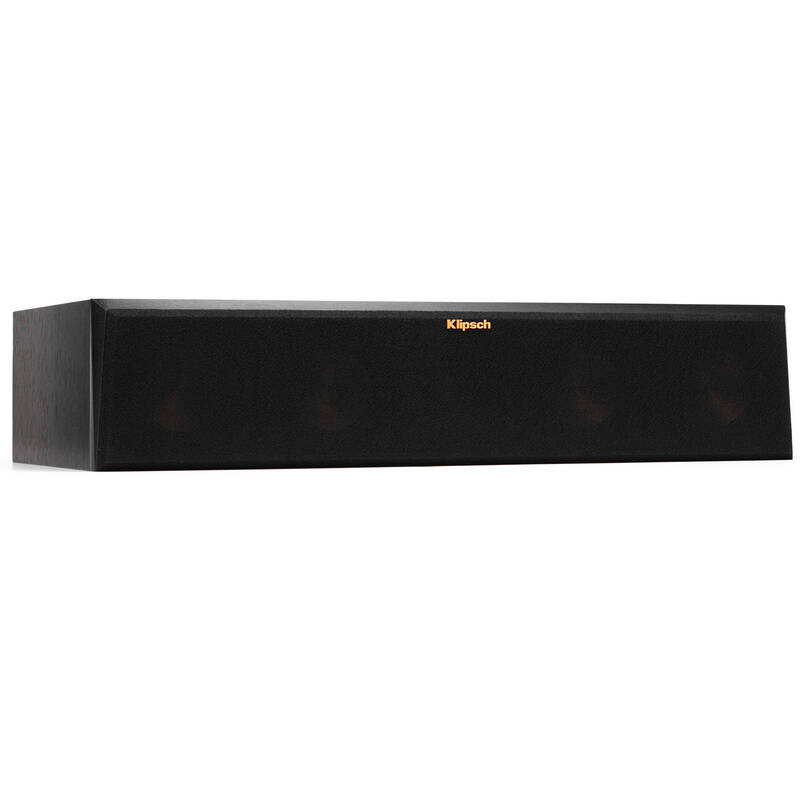 The piano black Reference Premiere RP-440C Center Speaker from Klipsch is a center channel speaker designed for home theater systems. 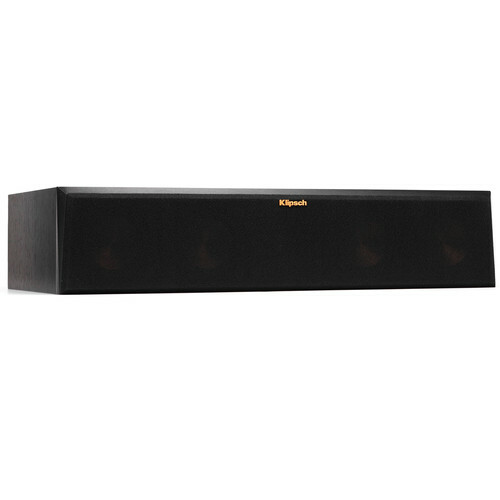 This passive speaker handles up to 150W of continuous power and is equipped with four 4" woofers and a 1" tweeter. The 90 x 90° hybrid Tractrix horn utilizes a circular horn throat paired to a square horn mouth designed to provide high-frequency response and extension, while enhancing imaging and dynamics. The compressed molded rubber construction adds high-frequency damping to reduce harshness and improve detail for a more natural sound. The RP-440C center speaker also features a Linear Travel Suspension (LTS) titanium tweeter designed to minimize distortion. The quad spun-copper Cerametallic woofers have a rigid, lightweight construction. The Tractrix port allows for efficient air transfer from the cabinet for an enhanced low frequency response. The RP-440C has an MDF cabinet with brushed polymer veneer baffle finish. The removable grille can attach magnetically. Box Dimensions (LxWxH) 30.0 x 17.5 x 10.5"
Reference Premiere RP-440C Center Speaker (Piano Black) is rated 5.0 out of 5 by 1.